Winner of the 2012 and 2013 World Masters and the 2014 BDO Lakeside World Championship, Stephen Bunting is now a rising talent in the PDC and a proud Target ambassador. 'The Bullet' joined Target in a bid to find a set-up that would enhance his talent and reflect his passion and determination in the sport. 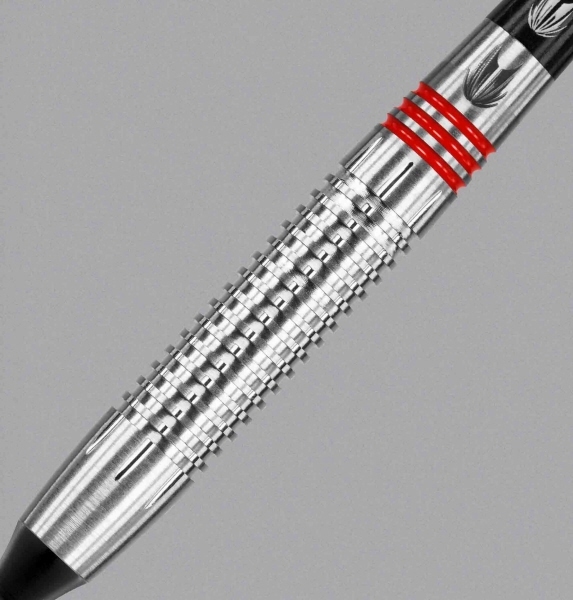 These Target Stephen Bunting darts feature Target's Unique Nano Grip Technology for a no-nonsense grip that is so fine you can barely see it. 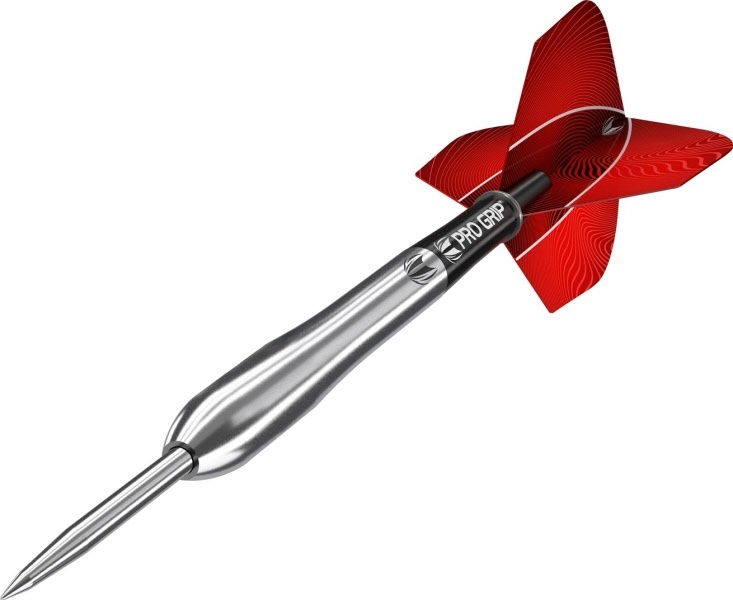 These darts come complete with Target Pro Grip Shafts, Target Vision Flights and bears Target's unique lifetime barrel guarantee. The Stephen Bunting Gen 2 from Target Darts. 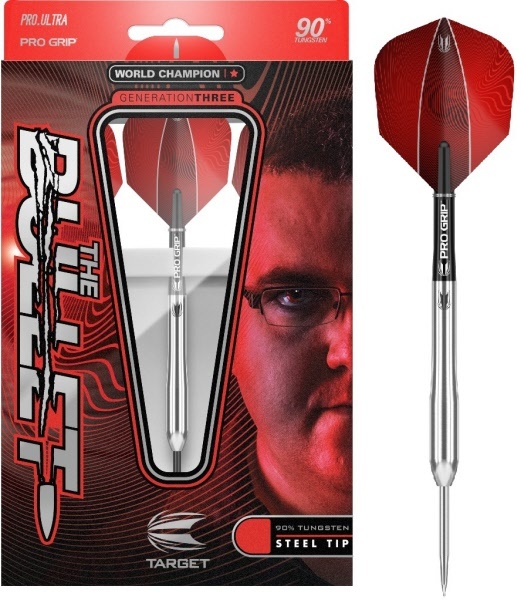 The Official dart of World Champion Stephen 'The Bullet' Bunting, the Gen 2 dart features Target's revolutionary New Ellipse Grip Technology - A non-aggressive grip form for enhanced finger to barrel synergy. Each Ellipse is coated in Target’s Gold Titanium Nitride coating for added barrel protection and distinctive feel. 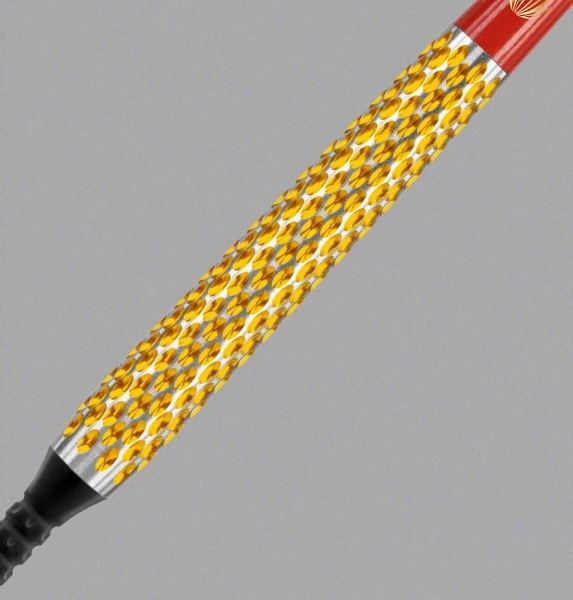 Exclusive red & gold Pro Grip shafts and Gold Titanium Nitride coated points completes a dart synonymous with Target’s high design aesthetic. 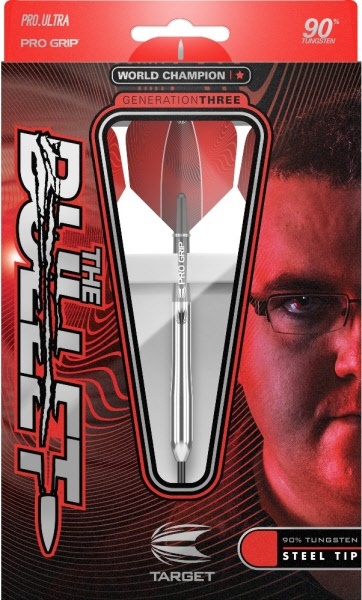 The Stephen Bunting Gen 2 Soft Tip Dart is available in an 18g weight and bears Target’s Lifetime Guarantee.